We have recently implemented and had awareness of events and days including those supporting apprentices and women. On site there is a diverse workforce with some operatives observing Ramadan. 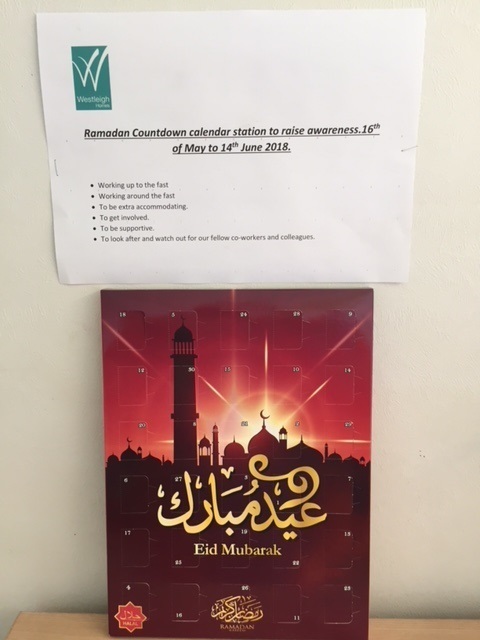 With this in mind we have issued several countdown to Ramadan calendars on site, the aim is to engage those unaffected by directly involving them. The key points of awareness around Ramadan are to also realise the implications this can have on not only the individual, but also their colleagues working up to and around the fast as well as during the fast.